Can DSGi breathe life back into extended warranties? The extended warranty market for home-electrical sales is often viewed with suspicion by consumers, and not without reason. For retailers, however, it is still a profitable part of their business, despite point-of-sale purchases of such cover falling from 82% in 2002 to 68% in 2008. This explains why DSGi has just launched a combined cover and services scheme across its retail brands. It has replaced Currys' Whatever Happens warranty scheme with two new programmes - Whatever Happens Club and Whatever Happens Premier Club - and extended them to include the PC World and Dixons retail brands. 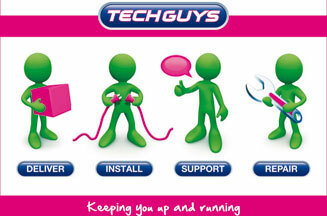 It uses the group's TechGuys support scheme, which has also been broadened to provide post-purchase support in all product categories. The first offering gives members a 5% discount on all other TechGuys services, while the Premier Club offers a 20% discount, which by the end of the year should include services such as oven-cleaning and washing machine descaling. The scheme's revamp is part of the group's ‘renewal and transformation' plan, announced by chief executive John Browett in May 2008, which includes a focus on customer service. A source close to DSGi cites former Tesco director Browett as a key driver of the Whatever Happens Clubs. ‘Being ex-Tesco, he knows how effective the Clubcard is in engaging with the customer,' he says. Moreover, with competition looming in the form of incoming US chain Best Buy, which is considered to be effective at delivering high-quality customer service, DSGi needed to protect this crucial part of its business. ‘Best Buy has a really robust customer-contact strategy and with its approach you've got to get your act together quickly,' adds the source. For Guy Culshaw, head of planning at Carlson Marketing, the decision to bundle other after-sales services into the warranty makes sense. ‘In this way customers can use relatively low-cost services and still feel they have received value from the warr­anty without making a large claim,' he says. However, it remains to be seen whether a perception of added value will be enough to convince people to buy a warranty in the first place. The total warranties market was worth an estimated £1bn in 2006 and has had a mixed reputation in the past. The government passed the Supply of Extended Warranties on Domestic Electrical Goods Order in 2005, following a Competition Commission inquiry, in an attempt to make the market more competitive. Last year, the Office of Fair Trading found that, although the Order had succeeded to an extent, there was still evidence that some stores were not fully complying with the legislation. Creating a membership scheme makes particular sense in this retail context. Mindful of media exposés of misselling in the past, many consumers remain suspicious of the need for extended warranties, so fewer are buying them at point of sale. There is also increased compet­ition and strong propositions from rivals such as John Lewis - which, as well as honouring manufacturers' guarantee periods, offers a free two-year service guarantee that includes accidental damage cover on big electrical domestic appliances. It is crucial that DSGi protect its core business, electrical goods and affiliated services, particularly as sales in the sec­tor are expected to fall 6.4% this year, putting extra pressure on margins.